Doug started out on the Internet working professionally with his first web site project in 1997 for the Navigators. Since then he has worked on many professional and personal web design projects. He has worked with companies ranging from small local business to major corporations. 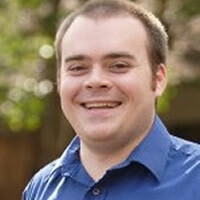 He also has a background in training and sales, working with organizations like BestBuy, Circuit City, Clientlogic, CompUSA, Texas A&M University, Sony, Logitech, Helio, AMPED, and DirectTV (see nullvariable.com). In addition to volunteering locally Doug also tries to contribute to several open source software projects. He´s a passionate advocate for the open source model. Aside from contributing to projects like Drupal and WordPress, He also holds a membership in the Drupal Association. Doug founded the Refresh Greenville group, is on the board of directors for Social Media Club Greenville and holds a role in the IT group for Trinity Bible Church.